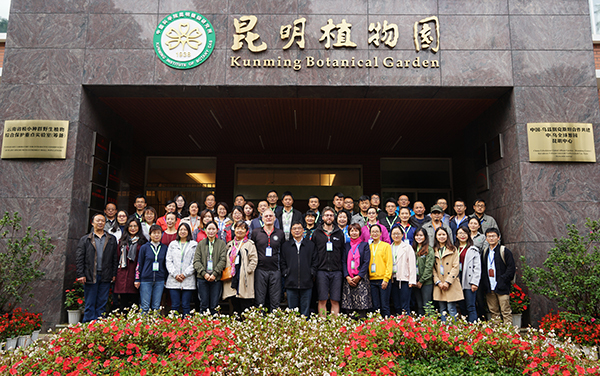 2018 CUBG horticulture training course opening ceremony held in Kunming Botanical Garden on October 15, 2018. 27 participants from 16 botanical gardens, as well as scientific institutes and universities attended the course. This ceremony was hosted by Ms. WANG Guiqiong, deputy director of Kunming Botanical Garden. Prof. SUN Weibang, represented Kunming Institute Of Botany, CAS and Kunming Botanical Garden, expressed the sincere welcome to all participants and grateful appreciation to Martyn Anthony Dickson and David Peter Tricker, as the teachers who have given the support for years. “Botanical gardens is not merely a nursery, but also shoulder the responsibility for conservation and breeding, scientific research and knowledge spreading”, he added,“however, Chinese classic gardens, tracing back to 2500 years ago, have lagged behind the Western landscape design and management in modern times. 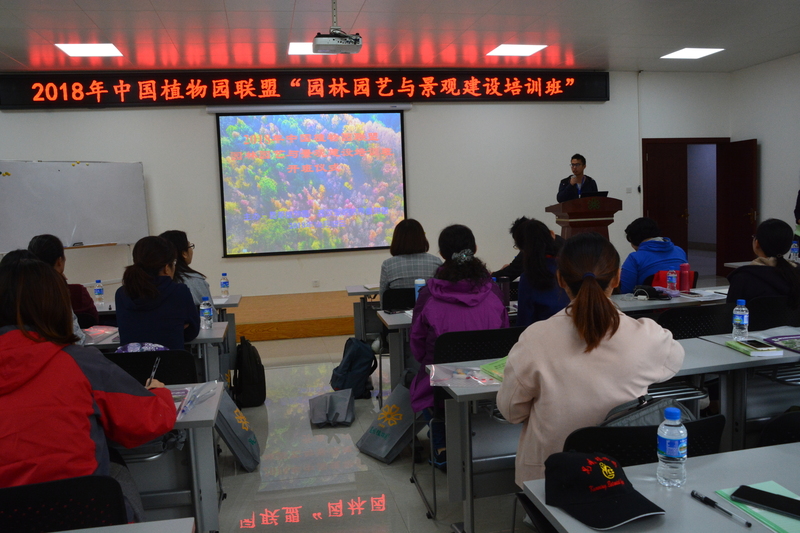 It is the intention of our training course for horticultural improvement of Chinese botanical gardens.” Since its first horticulture and landscape training course launched in 2012, it has become one of CUBG’s branded courses, also called Whampoa Courses, which cultivates the main forces of botanical gardens just like Whampoa Military Academy. Dr. ZHU Renbin, project supervisor of CUBG, emphasized that CUBG’s training course is well-known for its high-intensive curriculum in short time. He also hoped that everyone could cherish this opportunity to challenge themselves. Prof. Martyn Anthony Dickson and other teacher would like to pass on their experiences without reservation, and they also expected all students could “ask more, involve more, think more and share more”, and harvest the friendship through interaction. Totally 16 outstanding participants have been sent to Edinburg Royal Botanical Garden for further study during the past 6 years. He encouraged everyone could work hard for it. Ms. WANG Shiqiong summarized that Kunming Botanical Garden and Xishuangbanna Botanical Garden are ready for this training and organized a work team with about 40 staffs. Everyone including the teachers are endeavoring to refine it again and again. She hoped participants could learn from them. This course in 2018 will continue to combine theory with practical operation. It will arrange 23 special topics including propagation techniques, landscape arrangement, identification and prevention of diseases and insect pests, conservation for plant species with extremely small populations and its special garden construction, survey and collection of plant species with extremely small populations, reproduction stratagem under cultivation conditions in botanical garden, etc. The course will hold in Kunming Botanical Garden for 9 days and 5 days in Xishuangbanna Tropical Botanical Garden. Prof. Martyn Anthony Dickson, teacher from Edinburge Royal Botanical Garden, hoped everyone could establish an ever-lasting friendship and work hard. Ms. WANG Guiqiong, deputy director of Kunming Botanical Garden gave a summary.